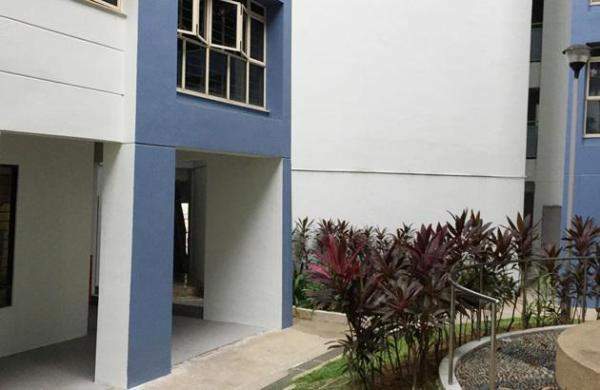 In another chilling case of an alleged youth suicide, a 13 year-old male student, Ng Teck Kiat, was found dead at the foot of a HDB block at Jelebu Road (Bukit Panjang) Wednesday night. The victim was found dead still dressed in his school uniform. Residents of Blk 183 Jelubu Road told this magazine that they were drawn to the incident on hearing an unearthly loud smack. “It is like the sound of bamboo poles dropping on the floor”, said a neighbour on conditions of anonymity. The boy is believed to have died of his injuries. Paramedics who arrived pronounced him dead on the scene. Although the incident happened at 10.30pm in the evening in a populated estate, there is information silence on what transpired before the alleged suicide. Police are unsure whether Ng was alone when he died, or why he was loitering around his school so late at night.